Here’s a fun fact for you, did you know that three of the four presidents immortalized on Mount Rushmore were land surveyors? It’s true. George Washington, Thomas Jefferson, and Abraham Lincoln were all proud of land surveyors. It’s a beautiful thought; these men who basically build the America we know and love today also played their part in literally surveying America’s own land. The importance of land surveyors goes as far back as history immemorial. If you’re looking for land surveying assistance in the Southwest region, give Land-Mark Professional Land Surveyors a call! Although there have been many advancements in modern technology that have made land surveying as accurate as possible, the basic tenets of land surveying are the same as they were in Washington’s day. The measuring of properties and land in order to determine boundaries is as important in this day and age as it was back when the Louisiana Purchase first went through. Let’s say you purchased some land and you plan to develop said land. Before doing so, you must have it surveyed by a professional land surveyor. Avoiding this can lead to many issues in the future. Just imagine, you buy land, develop it, and build a shopping center over it. Then, a few years later, you find out the person who owns the plot of land adjacent to yours wants to develop it as well and a land surveyor determines you built on the neighboring land. This will undoubtedly lead to litigation and other legal issues you’d rather avoid. So, before breaking ground, hire a land surveyor. With their findings, you’ll be able to take the first steps towards building whatever you may have in mind. Even if you’re not currently planning on developing your land, it’s still a good idea to have it surveyed. This information will be incredibly useful, no matter what you plan to do with your land. If you’re ready to partake in the century-long tradition of land surveying, then contact Land-Mark Land Surveying! 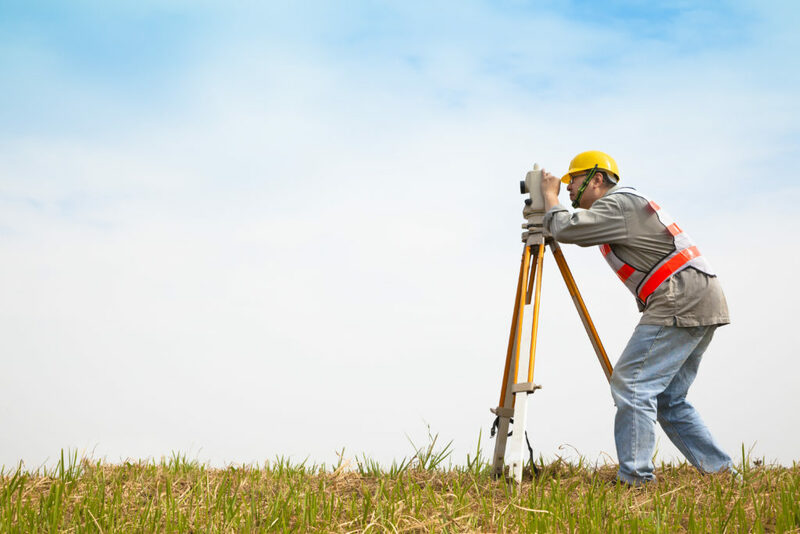 We are the area’s foremost land surveying team which means our work is second to none. When it comes to land surveying, it’s in your best interest to not cut corners; the end result may be more harmful than good and you’ll have to face the negative ramifications further on down the road. Let our team survey your land so you can move ahead with your dreams, whatever they may be. What Can I Do If My Neighbor Builds on My Property? Imagine this: you’ve finally found that white-picket fence, American dream of a house that you’ve always wanted and dreamed about, and then…your neighbor starts building on your property. Whether it’s a fence that cuts into your yard or you find your neighbor pruning what doesn’t belong to him, property disputes with neighbors are actually quite common, especially when there aren’t clear barriers or lines denoting whose property is whose. Here are a few things you can do if you find yourself dealing with a property dispute. Many times, when property disputes happen, simply talking to your neighbor about it can oftentimes resolve the problem. But we know that isn’t always the case, especially when the borders dividing your yards aren’t so cut and dry. If a civil discussion doesn’t cut it, don’t fret because there are other options for you. If you’re renting your property, your property manager may be able to help you resolve the dispute, especially if they are renting out your neighbor’s property as well, as is the case for many neighborhoods in El Paso. However, we’ve seen that many property disputes happen between two people who own the home they live in. If that’s the case, obviously this step is one you can skip. A land surveyor’s job involves surveying land to identify property lines, among other things. So, if there is a dispute between you and your neighbor, a land surveyor can help you identify where your property lines fall so you and your neighbor can build and install to your heart’s’ content without worrying about building on each other’s property. If all else fails, a lawyer can help you dispute the barriers as well using the information the land surveyor gathers about your property lines. It’s a worst case scenario but sometimes it has to be done. Land surveying is important for all sorts of functions in life, from architecture and homebuilding to economics and landscaping. Land surveying can identify property lines, help people build and expand thoughtfully, and can help with things like habitat preservation. At Land-Mark Professional Surveying, Inc., we can help people dispute property boundary issues civilly. Call us today to learn more! Categories: El Paso, land planning, Land Surveying Tags: el paso land surveying, land surveying, land surveying in el paso, land surveys, property disputes, settling land disputes Comments Off on What Can I Do If My Neighbor Builds on My Property? Let’s transport ourselves to middle school history class. Do you recall the term “manifest destiny?” This was a 19th-century belief that the United States had a destiny (appointed by God) to expand across the entire North American continent. This was much more than a physical expansion of the nation; it was an expansion of the democracy and capitalism that was the foundation of the United States. Manifest destiny was much more than a belief, as it became a reality rather quickly. The Louisiana Purchase in 1803 doubled the size of the young United States, kicking manifest destiny into gear. Soon afterward, the famous Lewis and Clark expedition took place. Meriwether Lewis and William Clark were both land surveyors (amongst many other things) so they were the perfect candidates for such an expedition. This is just one example of the importance of land surveyors in America’s history. The United States acquired large parts of Mexico in the early and mid 19th century. By 1846, we acquired the Oregon Territory thanks to a treaty with Great Britain. By 1850, the United States had grown to the size it is today. Fewer than 100 years after we declared independence from England, the United States ostensibly quadrupled in size. This is where land surveyors came into play. With so much land available, it was necessary for land surveyors to document each piece of the new America. Many land surveyors actually went on to become presidents of the United States. George Washington, Thomas Jefferson, and Abraham Lincoln all held the title of land surveyor. In fact, it was Thomas Jefferson who sent Lewis & Clark on their famous expedition of the Louisiana Purchase. Although the days of early America are far behind us, land surveying still plays a major role in our modern society. Today, land surveyors pinpoint where your particular land begins and ends so you won’t accidentally build over someone else’s land. Surveyors are able to set boundaries as well. Many things have changed since the days of Lewis & Clark. Now, we’re able to use highly advanced technology to garner the most accurate readings. 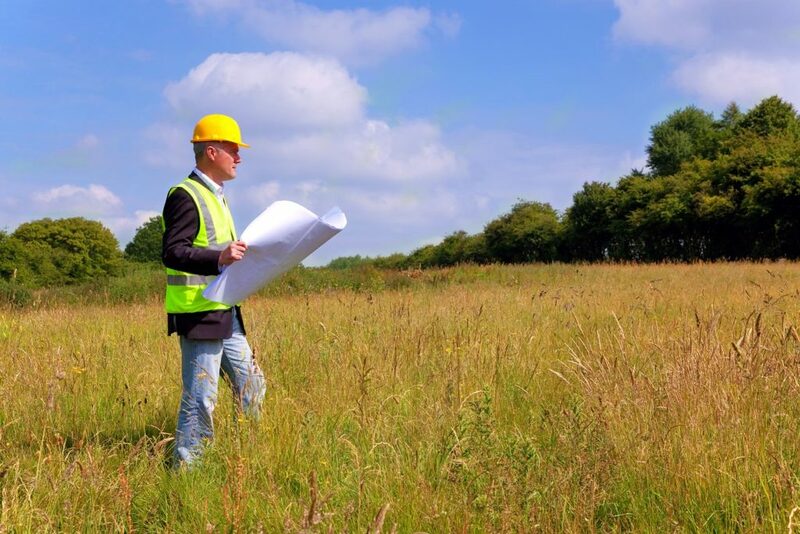 If you own land and want to begin developing it, make sure to speak with a land surveyor from Land-Mark Professional Surveying. We offer our services to clients in the Southwest regions of El Paso and New Mexico. When you partake in land surveying, you’re partaking in American history! Question: Do I Really Need a Land Planning Survey? Answer: First of all, your local government probably requires some kind of survey in order for you to obtain the proper permits to build on your land. But, as mentioned, land surveys offer valuable info for land planning, as well. This can include the type of ground you are building on, best areas for drainage, finding out if you are on a floodplain or hard rock, and so on. When you are planning buildings and improvements that interact with the land, a survey is always good to have, whether it is required or not. Question: What Do I Need to Know About Land Planning Surveys? Answer: First of all, your local survey agency will know the details of your required land survey for permit needs. They will have a firm understanding of what this legal document needs to provide. Not only will they create a proper survey to satisfy permit needs, but will provide info about your land for building purposes. From topography, property boundaries to proposed grading you can be sure to get a thorough account of your land. Answer: Getting started on your land planning needs and survey is as simple as giving us a call at Land-Mark Professional Surveying, Inc. We work with builders, architects, and government officials on a regular basis. We have a firm understanding that is drawn from 17 years of experience in the industry. We have provided services to private and commercial land builders in the Southwest region and offer reputable services. Give us a call today to get started on your land survey. We will be happy to answer your questions or set up a consultation. From the fabled days of the Wild West to today, El Paso has always been a city where paths converged. The same wild spirit of the days of yore resides within El Paso and within the souls of any entrepreneur with a dream of making the world a better place. In order to achieve this, you must team up with an experienced land surveyor from Land-Mark Professional Surveying. Simply put, land surveys give landowners the peace of mind that comes from knowing specifically where their property begins and ends. Instead of getting into land disputes with neighbors, you can choose a land surveyor to come out and survey your land. This will give you the ability to protect your land investment, giving you the ability to plan accordingly. Imagine how terrible it’d be if you hired an architectural firm and crew to design and build your dream shopping center only to find out, after all, construction has been completed, that your newly-constructed building encroached on three other property lines. This will cause stress and heartache. The best way to avoid this outcome is by starting off on the right foot: with a land surveyor! 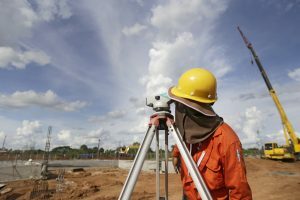 Since land surveying is such a big deal, you need to make sure you’re hiring the right team for the job. By making sure your land surveyor is licensed and insured, you can rest easy in knowing that the land survey process will go off without a hitch. When it comes to land surveying, you need to choose the best of the best. The results will be used to build whatever you’re thinking of building. The survey will also be an important document to have as an entrepreneur. High-quality surveys aren’t a luxury, they’re necessary! If you’re looking to succeed in your future venture, don’t forget the land survey. If you’re looking for the most experienced, reliable land surveying team in the El Paso area, choose Land-Mark Professional Surveying. Our team is ready to take care of your land surveying needs. Since we’ve been part of the community for over two decades, we understand what’s necessary for El Paso to thrive. Over the years, we’ve helped countless individuals, firms, and groups achieve their goals. Let our team help you get started on the right foot! Contact us today to learn more about what we have to offer. 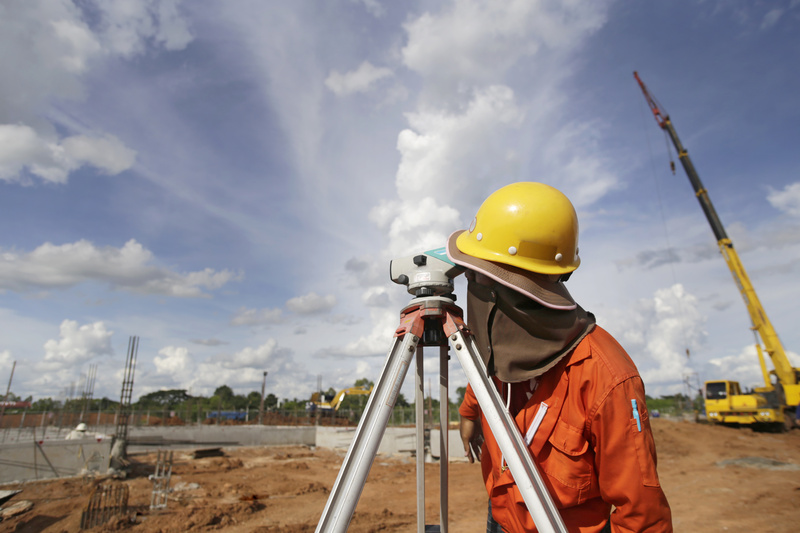 Why is Land Surveying Important for Land Development? If you are in the business of land development El Paso, you probably know that there are a lot of things that go into it. Getting a plot of land ready for sale or construction require many things including land surveys. A land survey does a number of things for the builders, the owners, and the city officials. If you are in El Paso or the surrounding areas, our team at Land-Mark Professional Surveying can assist you. A land survey for land development El Paso is very important and can tell investors and developers a lot about the area. The knowledge you get from a land survey will help you move forward with developing land and being able to sell and build upon it. So what exactly happens with a land survey? A land surveyor in the area will be able to go around and determine boundaries for a plot of land. This can be very helpful so that land owners know the boundaries of their land and where someone else’s land begins. This can help so that they do not cross over into land that is technically not theirs. A survey can also note where improvements can be made on the land and make maps. Mapping will allow everyone to have a visual representation of the boundaries and the area in which you are investing in and developing. Another reason for a land survey is so that builders and city officials will know where certain things are. It can tell the developers where gas lines, electric lines, water lines, cemeteries, and other important landmarks and pipelines are. This can be very important for a number of reasons. If someone doesn’t know where electric or water lines are, they can dug into them and puncture them. This can be costly to fix if it is a water line. If it is an electric line that is cut, it can be very serious and very dangerous. People can get hurt and electrocuted if they are not careful. A land survey is an essential way to make sure that you know where certain things are and how to effectively maneuver around them during the development and building process. All in all, land surveys are very important for any land development El Paso. It will help more than you can imagine and help you get the most out of your property. If you are in need of excellent surveying services, our team at Land-Mark Professional Surveying can ensure that you get the quality services you need. We know the importance of making sure everything there is to be known about a piece of property is known. We understand how this can hurt or help an investment and we want to help in the best way possible. If you would like more information on our land surveying or how we can help you with your land development, please give us a call today. Categories: El Paso, land development Tags: el paso land development, importance of land surveying, Land development, land development el paso, land development in el paso, land surveying Comments Off on Why is Land Surveying Important for Land Development? 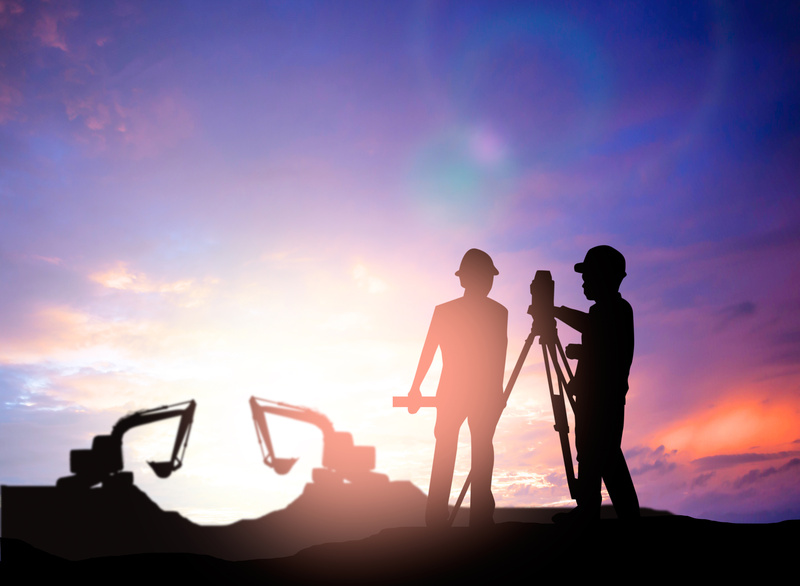 While many people may have heard of the job of being a land surveyor, they might not necessarily know what one does. It is not a job that is typically talked about but it is an important job nevertheless. 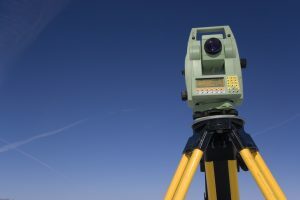 A land surveyor actually plays a huge role when it comes to building, construction, and overall city code and ordinances. There are legal processes that must be followed when building and construction take place, which is where this type of job comes into play. If you are in the Las Cruces area, Land-Mark Professional Surveying can assist you with any project you may be working on. So you may still be wondering what a surveyor actually does when it comes to building and construction. Essentially, what they do is measure and map the areas in question. They use specific math and measuring devices to get accurate readings of the land around them. This is very important for projects so that they know what is around the land, what they should watch out for, and where their property ends and someone else’s begins. They do not do this alone however, they work with builders, architects, and engineers to get it all done accurately. It needs to be accurate for legal reasons as well as safety reasons. When it comes to safety, a land surveyor has a pretty important job. They are able to map out specific areas and make topographic maps, among other things. This means that they should be able to help point out where electric, gas, and water lines are for when the builders start construction. This is vital to know because the workers do not want to accidentally hit any of these lines. The electric and gas lines are incredibly dangerous and can be fatal if hit or cut. With a water line, you also do not want to hit it because it can become damaged and be very costly to fix. These are all important aspects of building and a surveyor essentially helps give a heads up to everyone when it comes to locations of certain things. A land surveyor can also measure properties in case the boundaries are unknown. Sometimes people have disputes about whose property is whose. A surveyor can help determine where one property line ends and where another one begins. This can help dissolve any issues or disputes going on with different people. A surveyor does a lot for the government and city, and this is great in order to keep an accurate record of property lines, new construction, and much more. It may seem little but overall, it can be a huge help when people need to go back and look at or access specific information about their property. If you are in the Las Cruces area and need a quality land surveyor, our team at Land-Mark Professional Surveying can help you out today. Please contact us for more information or any questions you may have. Categories: El Paso, land surveyor Tags: hiring a land surveyor, land surveyor, land surveyor importance, land surveyors in El Paso, what does a land surveyor do?, what does a land surveyor's job look like? Comments Off on What Does a Land Surveyor Do?